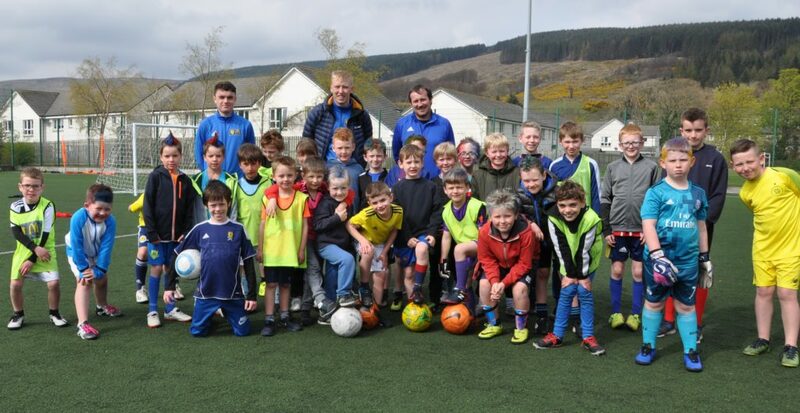 During the week the children got to take part in small sided matches, penalty shoot-outs, fun challenges and exciting football games with many turning with the traditional coloured hair on the final day. Travelling to Ardeer Stadium in Stevenston for a match against Glencairn Thistle, Arran AFC dominated the opposition from start to finish and left their opponents, despite a valiant effort, unable to add a single goal to the scoreboard. Full of optimism Arran started the game with a more familiar 4-4-2 system, this saw the boys come into the game full of confidence and playing some great football.